spent several million dollars improving their bike friendly infrastructure. 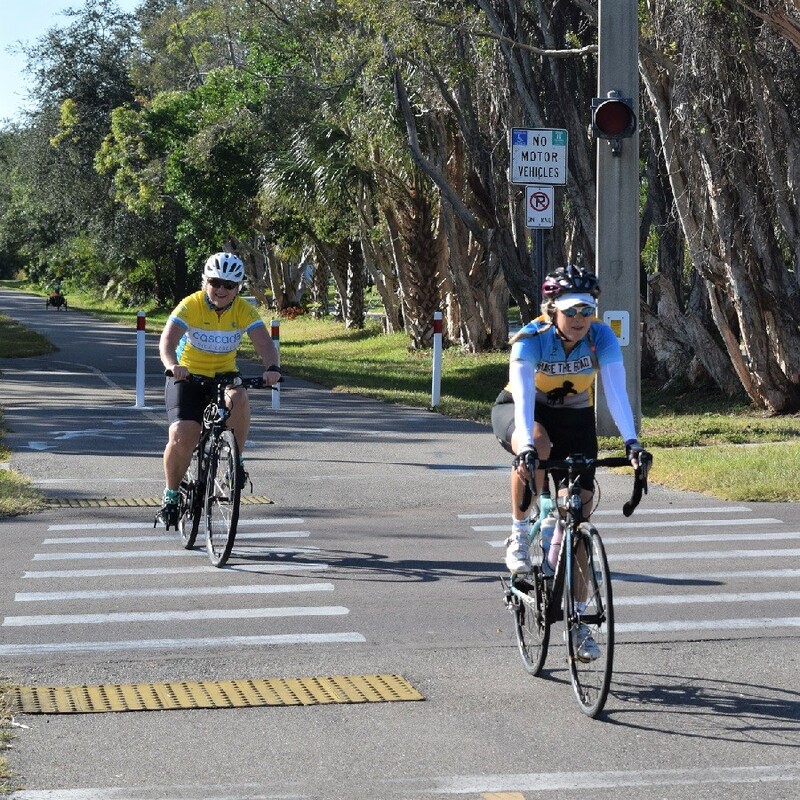 Using the areas bike friendly lanes to safely get up to the Fred Marquis Pinellas Trail. Compared to my visit several years back, cyclists today will find dedicated or protected cycling lanes and more bike trails. These bike lanes make it easy to connect to many popular trail systems. With many improvements in place, I found several safe routes perfect for any family bike outing. As you will note below many of the trails link up with parks, museums, aquariums, beaches, etc.! hotel and were competitively priced. On my last trip to the area, here are some of the bike paths and routes I have briefly checked out. I look forward to a return visit to explore these trails further and find other hidden jewels I missed. 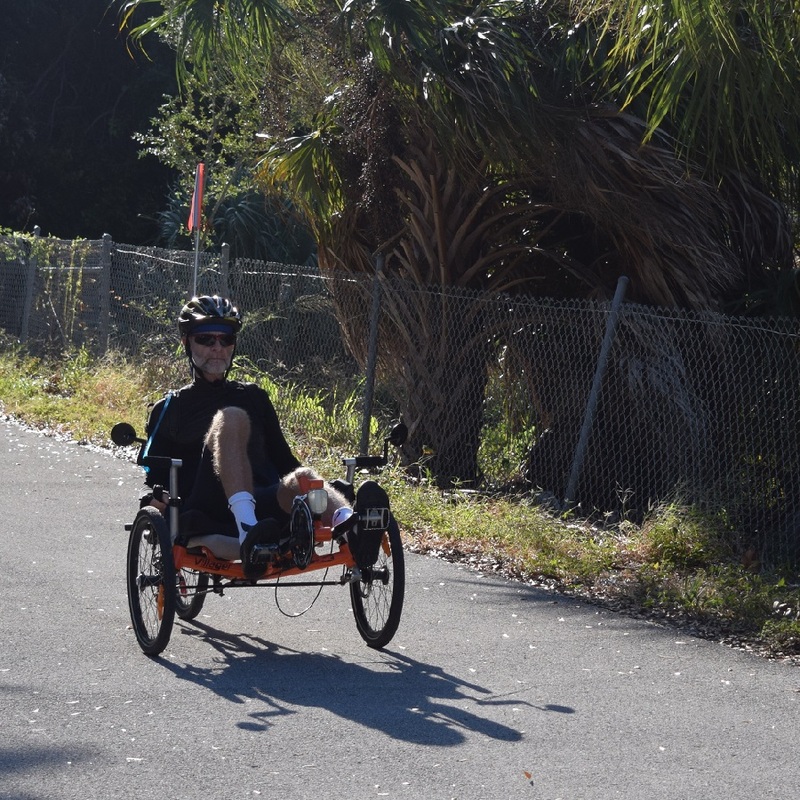 Riding the Fred Marquis Pinellas Trail from St Pete to Clearwater. 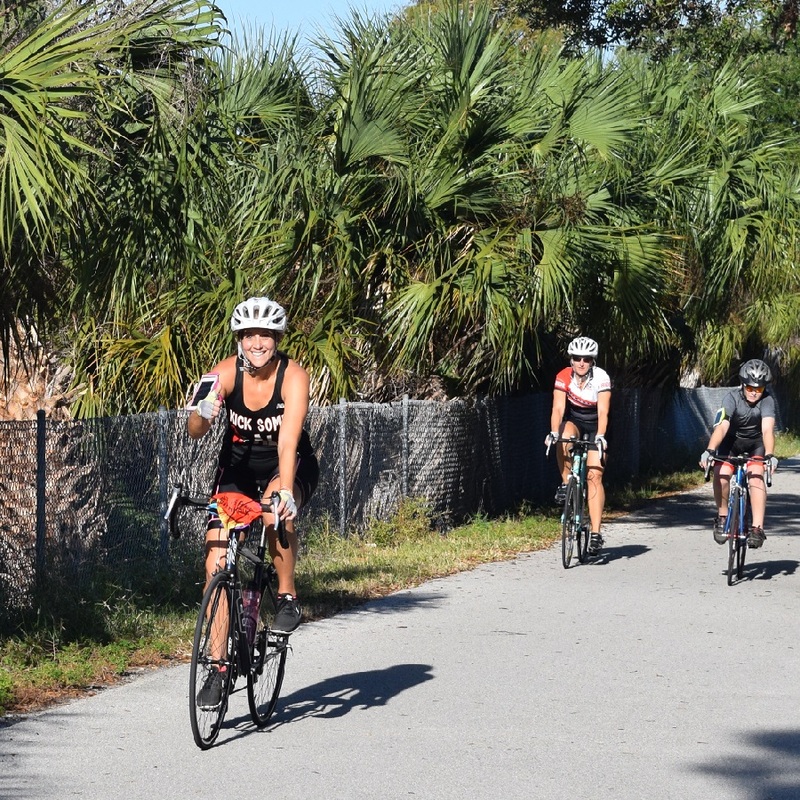 From St. Petersburg to Tarpon Springs, this 38 mile trail system lets you explore a scenic blend of bustling downtown areas and residential neighborhoods. Here palm trees shade the trail inbetween the parks. With several cities that dot the trail, you will find many options for beaches, breweries, dining and shopping along the way. This trail also gives you the option to visit Honeymoon Island State Park where you will find a beach. Nearby, a half mile off the trail, you will also find the children’s museum at the Dunedin Fine Arts Center. It is a 20 mile bike ride up the trail from St. Pete to Clearwater. Here in this progressive downtown area, with a beautiful waterfront, enjoy breweries, restaurants and shopping. 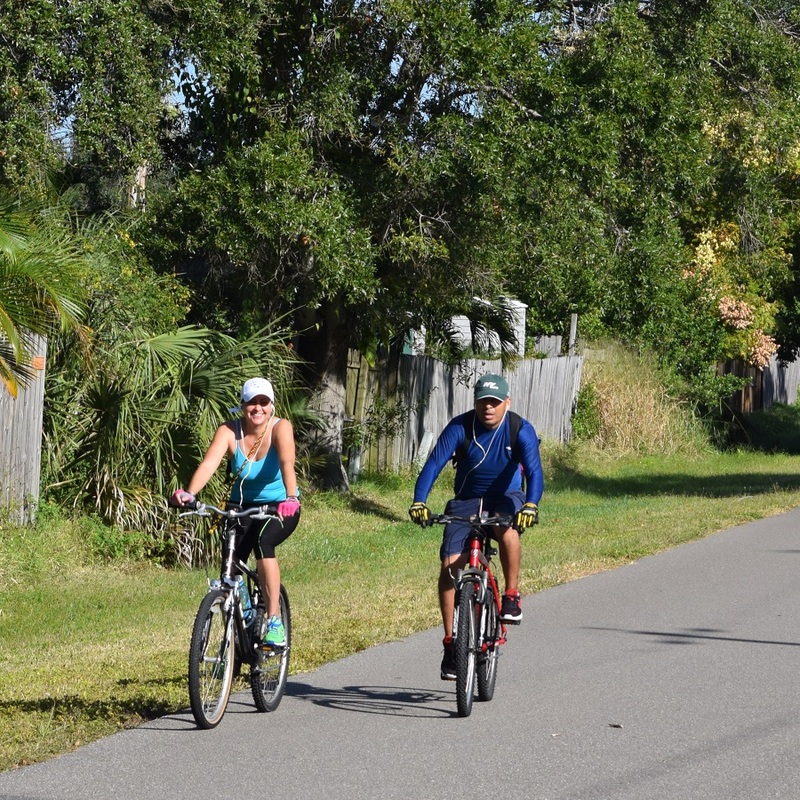 This trail picks up in the southern part of St. Petersburg, where the Pinellas Trail ends. 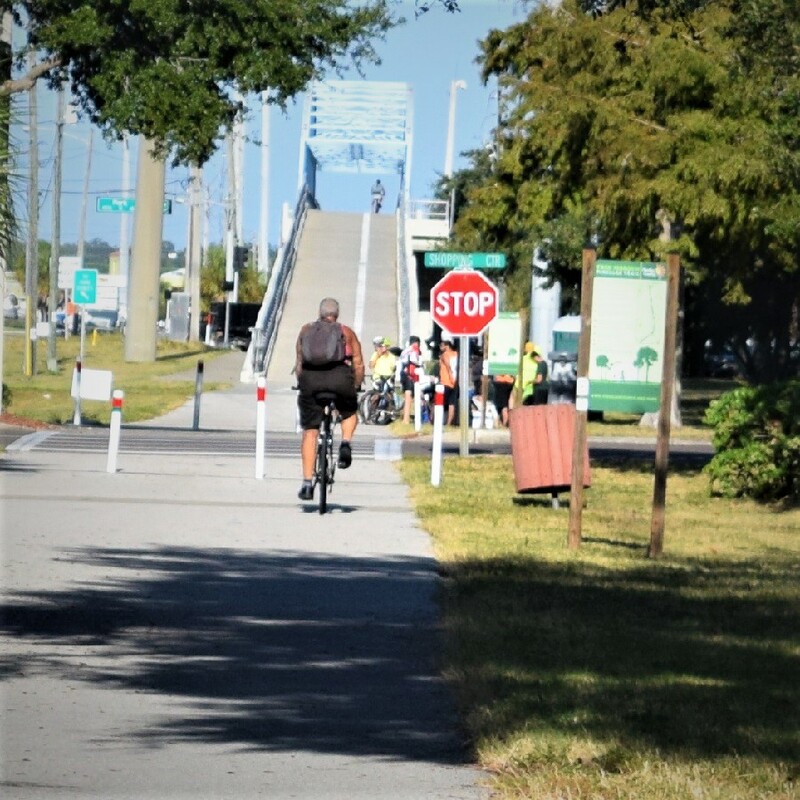 A 6.3-mile-long trail it curves along the waterfront in downtown St. Pete and takes riders out to the Gandy Bridge, near Weedon Island Preserve. I hear this trail gets pretty busy, especially along the southernmost reaches that meanders through Vinoy Park and a few small, sandy beaches. In downtown Tampa, the Riverwalk hugs the Hillsborough River. Only 2.6 miles long this is a great thoroughfare for bikers and a place you might see manatees and dolphins. The River Walk starts at Curtis Hixon Waterworks Park and stretches 2.6 miles to the intersection of Channelside Dr. & Beneficial Dr. If you want to make a day of it with the whole family, the Riverwalk connects to the Florida Aquarium and to the Glazer Children’s Museum, not to mention many restaurants and beautiful parks. Home to Gasparilla, the third-largest parade in the U.S., the Bayshore is billed as the longest sidewalk in the world, clocking in at 4.5 unobstructed miles of pathway. The sidewalk runs along the eastern coast of the Tampa peninsula, offering a view of the bay to the east and some of Tampa’s most stately homes to the west. This Bayshore also connects easily to the Tampa Riverwalk, via the Platt Street Bridge, if you’re looking for a longer ride. Starting at Platt St. this trail ends at W. Gandy Blvd. where there is a dedicated bike lane, if pedestrian traffic is heavy. This Greenway starts where the Selmon Expressway crosses over the Tampa Riverwalk (just south of Brorein Street). A shady trail, less than two miles long. From Tampa’s historic district it follows the shadows of the expressway rolling northeast to the outskirts of Ybor City. Along the way you will find plenty of breweries and restaurants to visit when not biking. This trail system, over Old Tampa Bay connects the city of Clearwater to Tampa. If you are on a single speed bike, this 11 mile trail system can be brutal if you are not in shape. First you will need to pedal your bike up onto the bridge. Then, the wind coming across the bay can be strong. That said, the Courtney Campbell Trail makes for a scenic and fun bike ride. 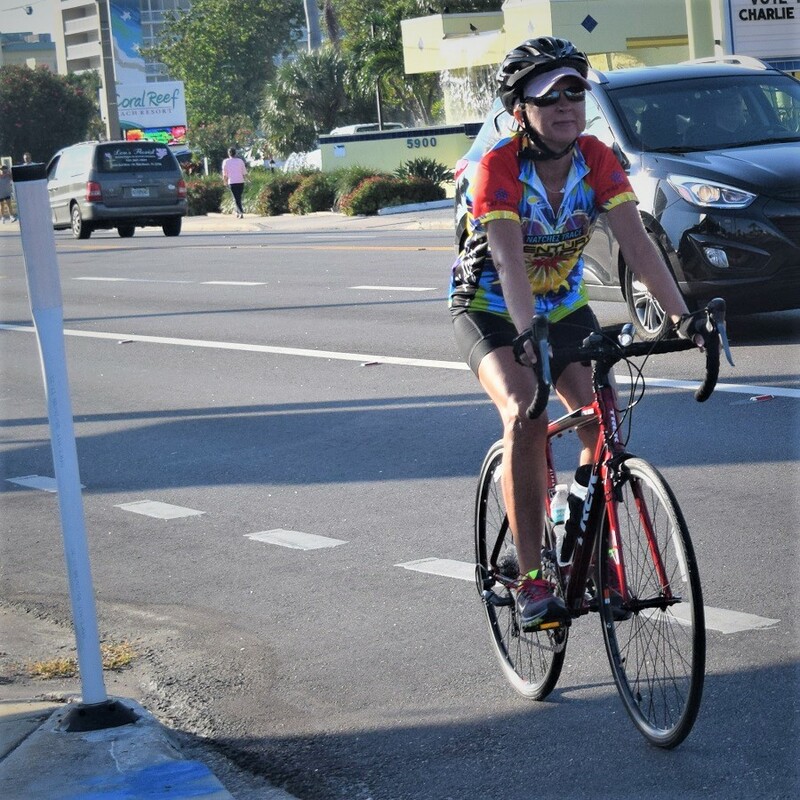 From Tampa, this is the perfect bike route to visit the Ream Wilson Clearwater Trail or ride up to Safety Harbor. Back in Clearwater/St Pete, from the Courtney Campbell Trail over Tampa Bay, checkout the Ream Wilson Clearwater Trail. If you take the trail that parallels North Bayshore Blvd., at the middle of the trail system you have two options. Continue up the Bay and you will hit the charming downtown of Safety Harbor. There check out the Whimzey Bowling Ball House. If you ride the trail to the west, from Bayshore Blvd., the trail doesn’t make it all the way to the Pinellas Trail. 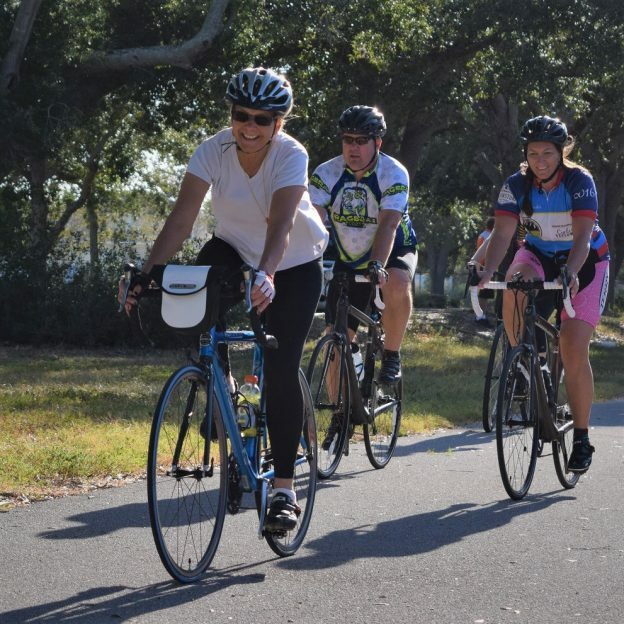 It will only get you about halfway across riding along Alligator Creek and ending in Coachmen Ridge Park. Have fun enjoying the trails I have covered so far in the Tampa/St. Pete area. If you discover another route or an interesting experience riding in the area please, let us know – Thanks! This entry was posted in News and tagged Bayshore Linear Park Trail, Bike Florida, Bike friendly community, Bike St Pete, bike Tampa, Courtney Campbell Causeway Trail, Fred Marquis Pinellas Trail, North Bay Trail, Ream Wilson Trail, Renting bikes in Tampa/St Pete, Saint Petersburg FL, Selmon Greenway, Tampa fl, Tampa Riverwalk on November 30, 2017 by Russ Lowthian.